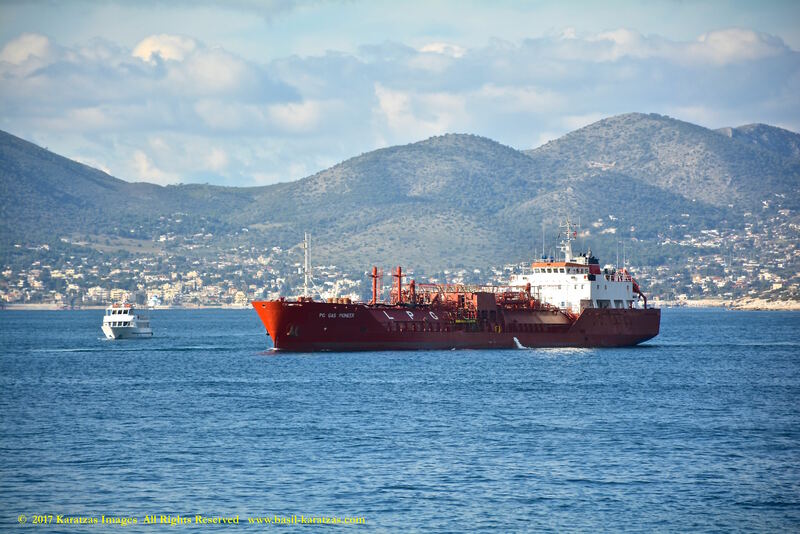 Posted on February 5, 2017 by Karatzas Marine Advisors & Co. 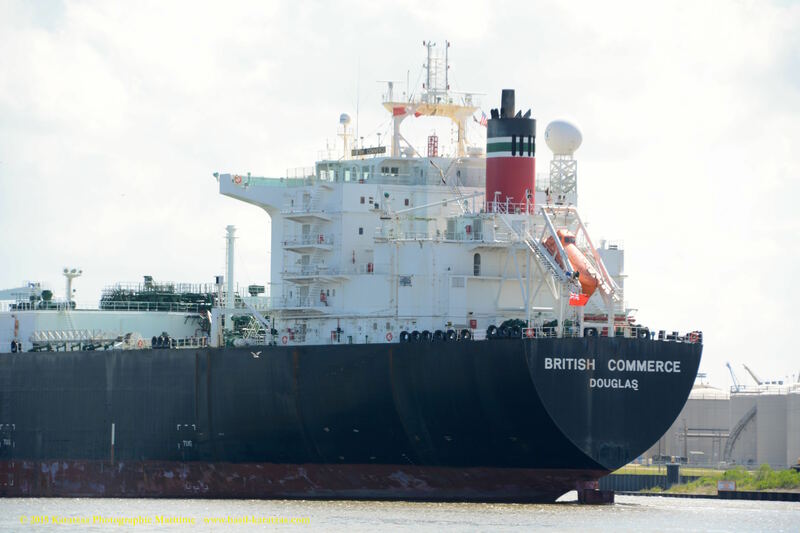 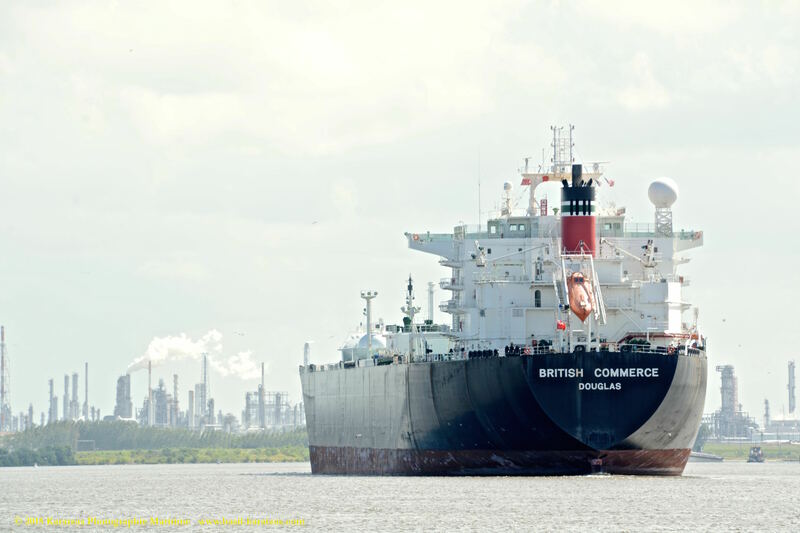 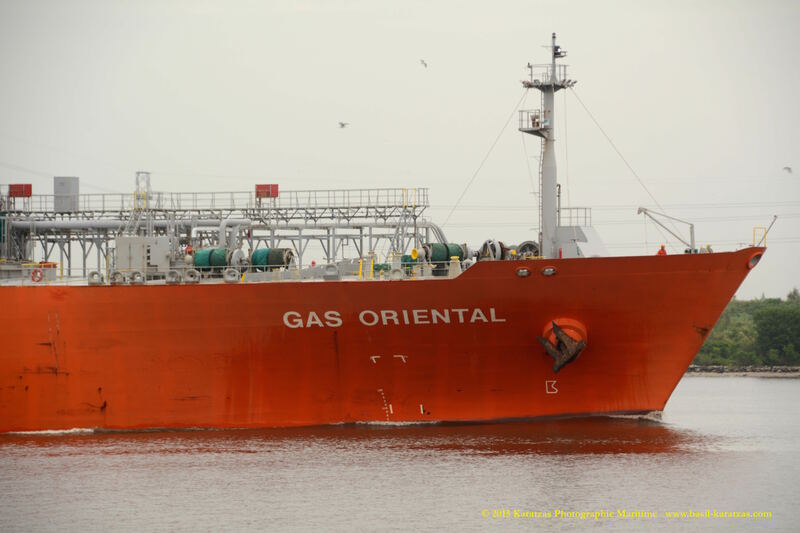 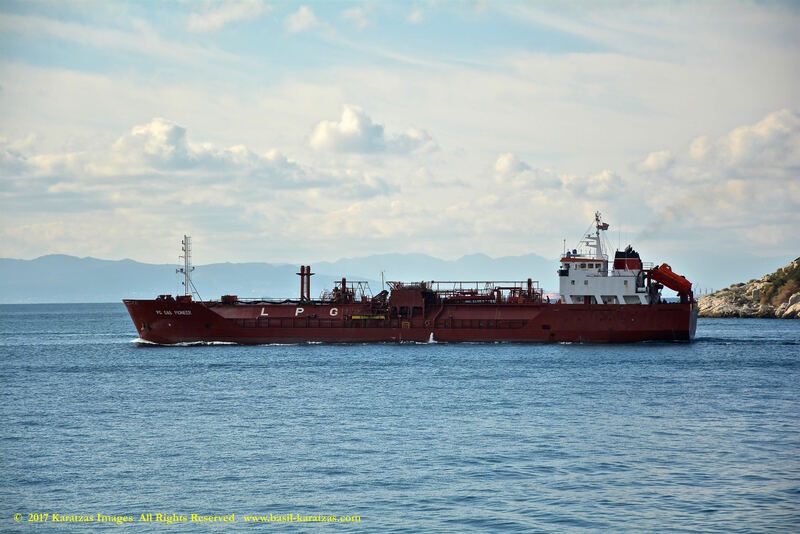 VESSEL IDENTIFICATION: Ex-names are ‘B Gas Ettrick’, ‘Sigas Ettrick’, ‘Ettrick’. 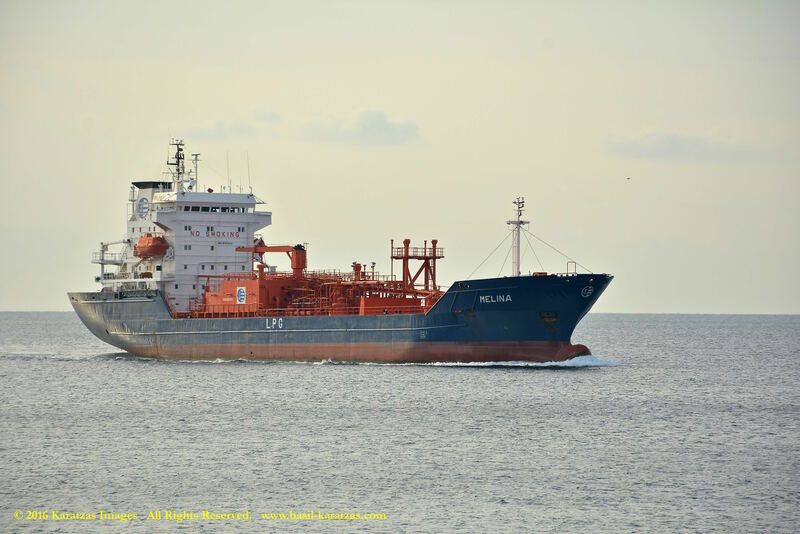 Call Sign 9HIZ9, IMO Number 9008512. 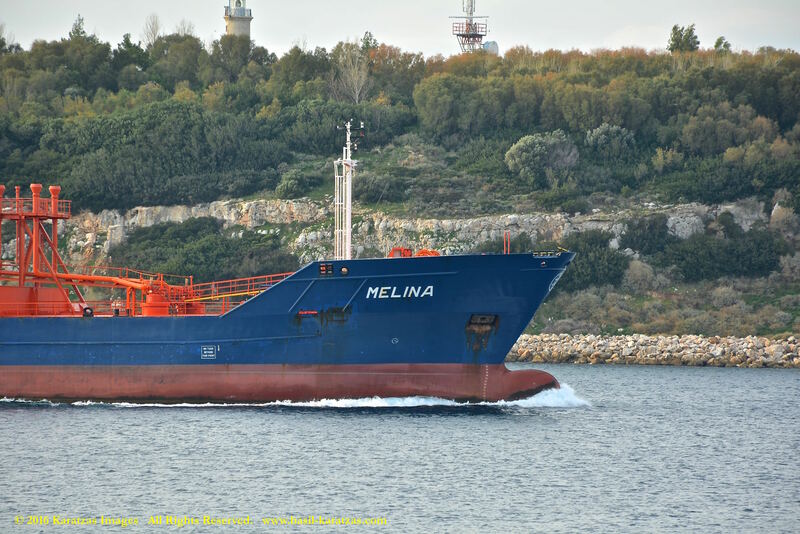 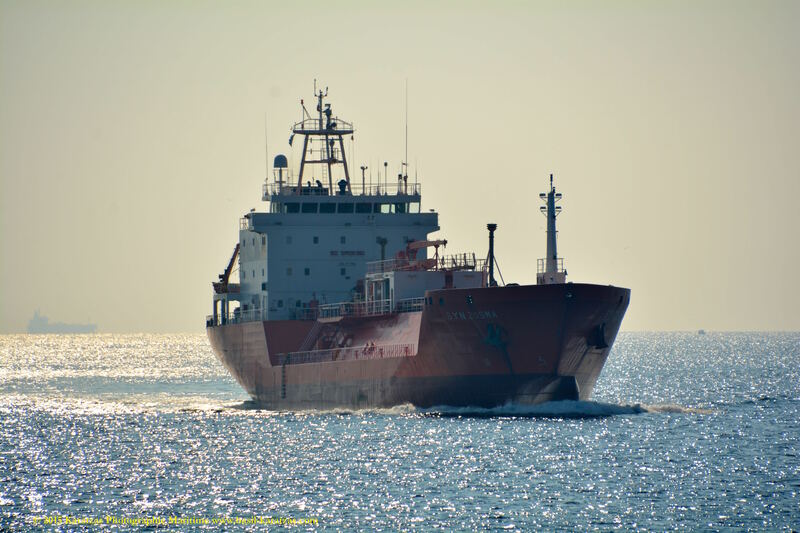 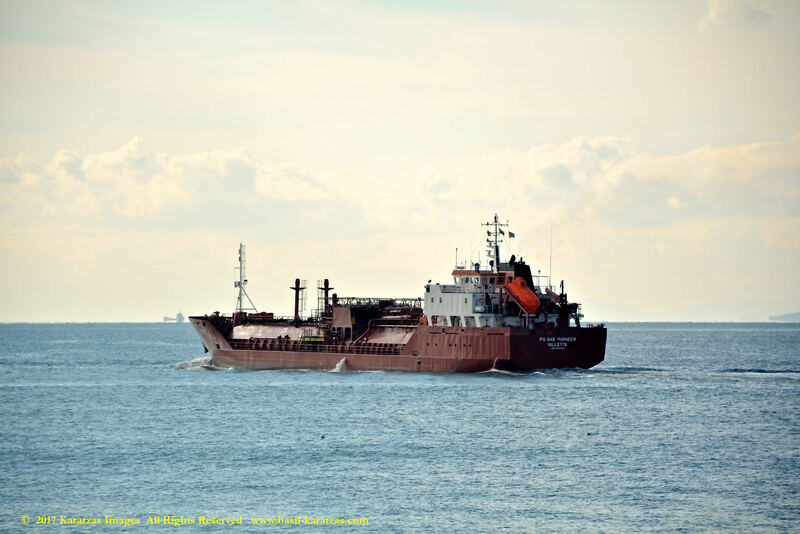 Built at Richards S.B., Malta Flagged, BV Classed, Ice Strengthened 1B Class, Length Overall of 88.00 m., Length Between Perpendiculars of 82.50 m., Draught of 6.00 m., Beam of 14.80 m., 11.30. 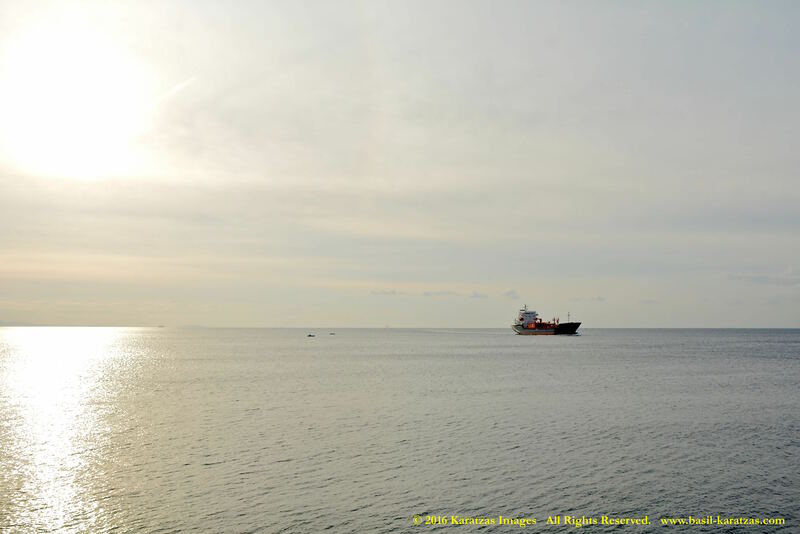 Moulded Depth of 7.40 m., Tonnage of 907 International Net and 3,560 Dwt (long), Cargo Capacity of 3,090 tonnes Tonnes per Centimeter Immersion, Gross Tonnage of 3,020, Wartsila 4-stroke Engine, Speed of 14.00 kts at 12.00 tonnes per day, Horsepower of 3565. 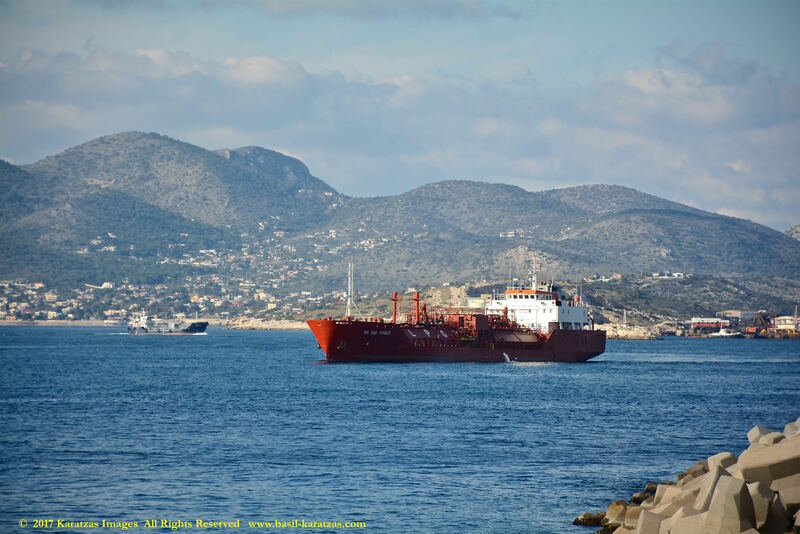 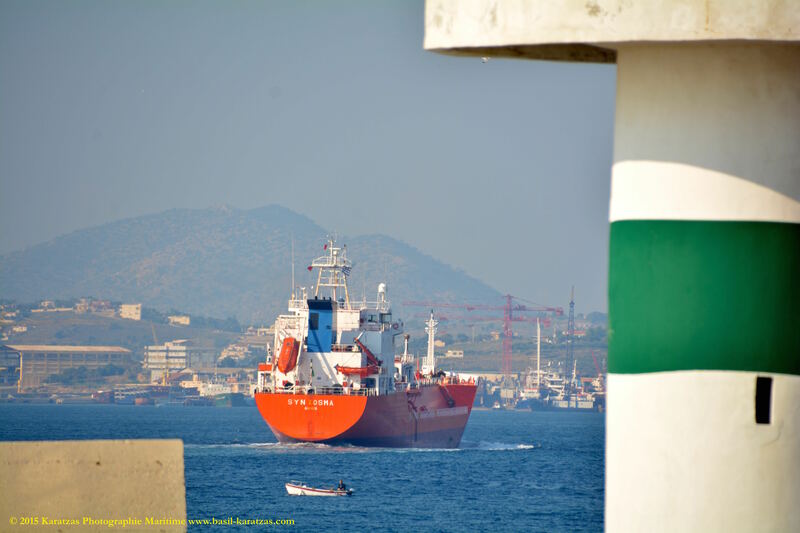 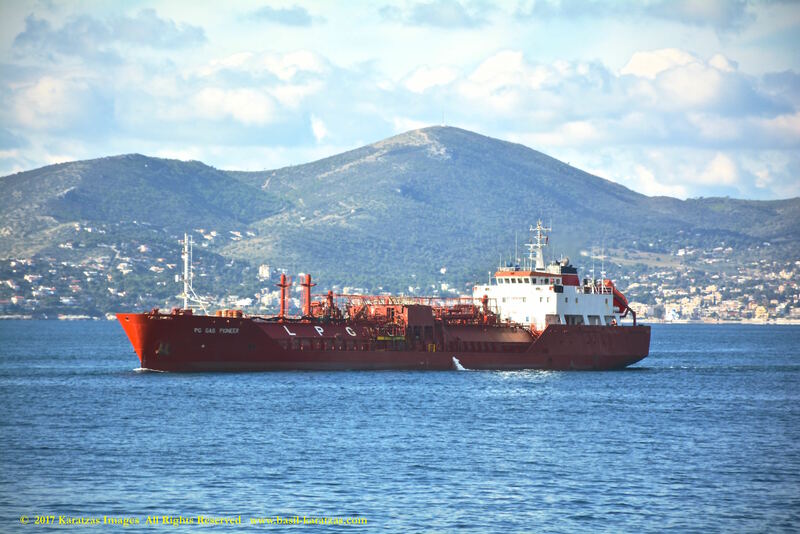 SHIPOWNERS / VESSEL’S MANAGERS: Anco Ltd, Greece. 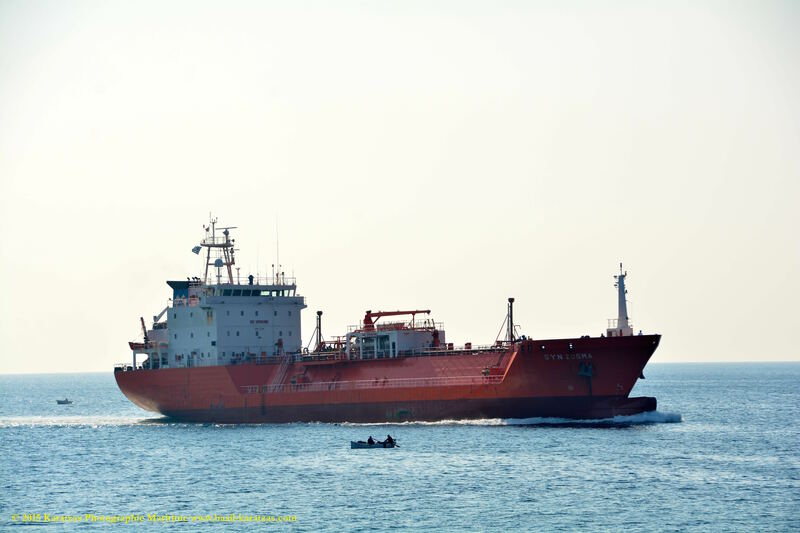 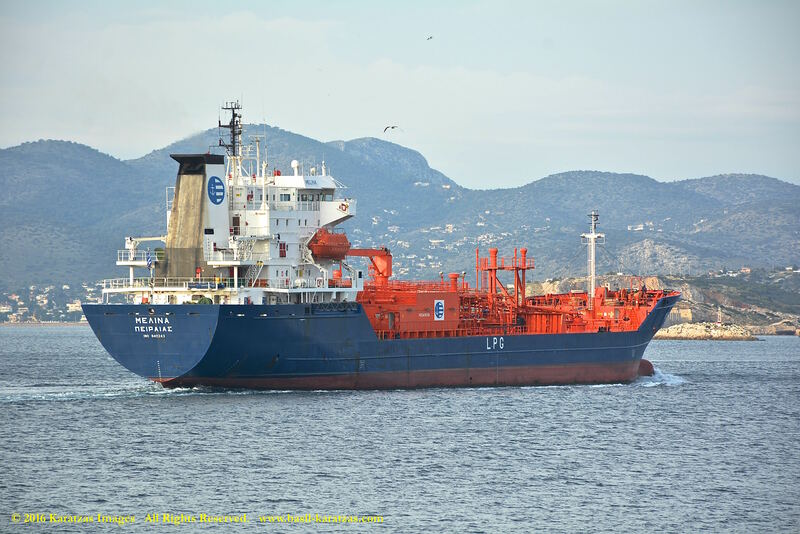 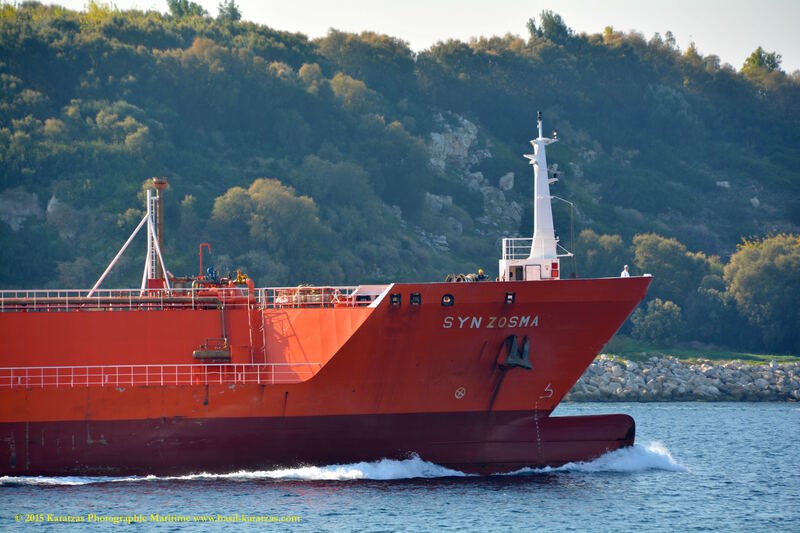 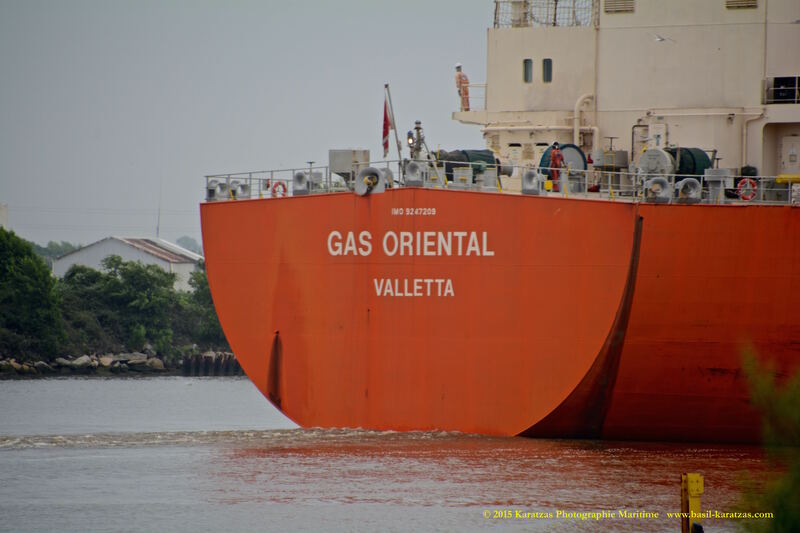 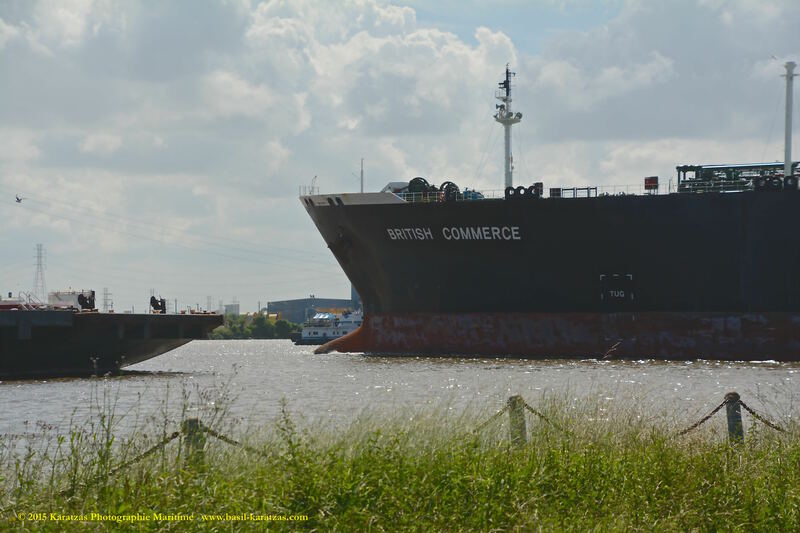 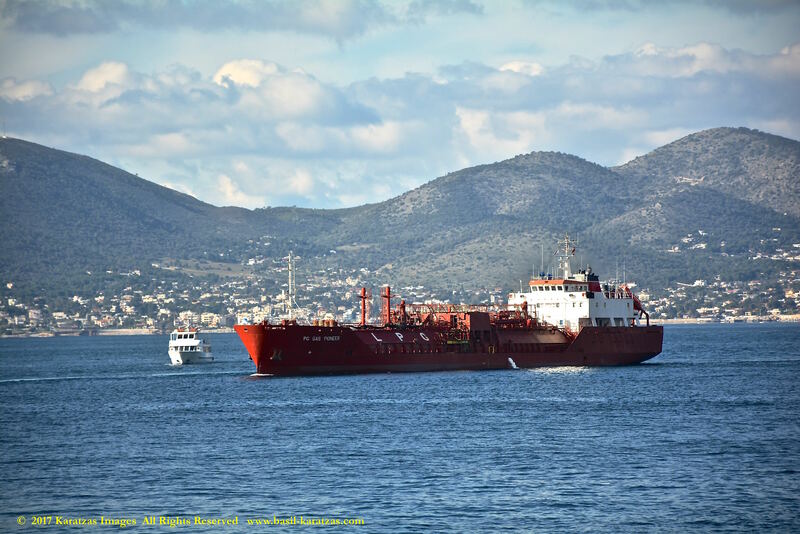 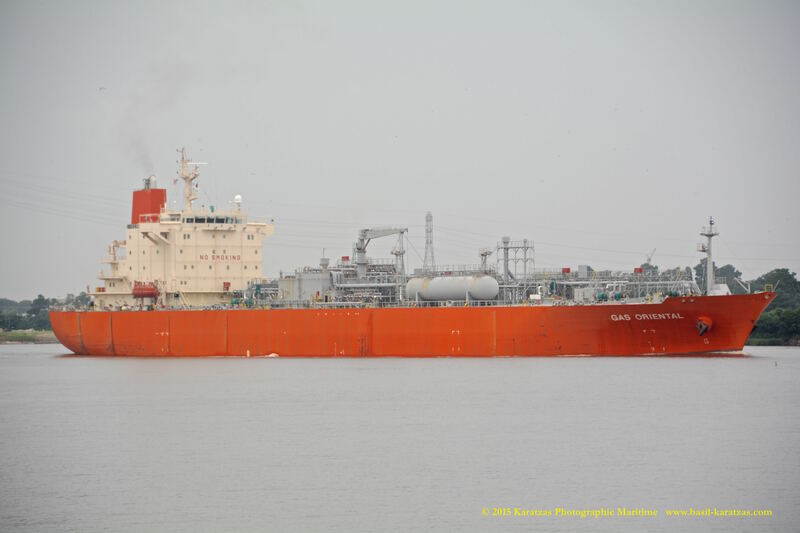 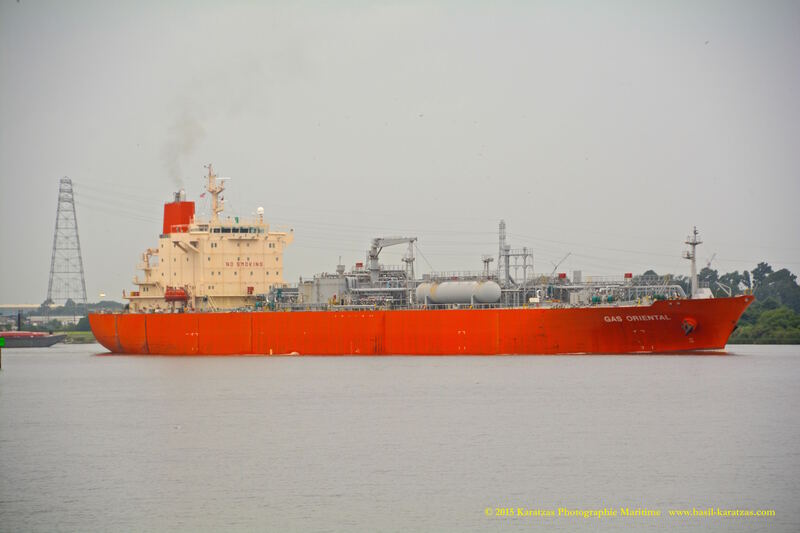 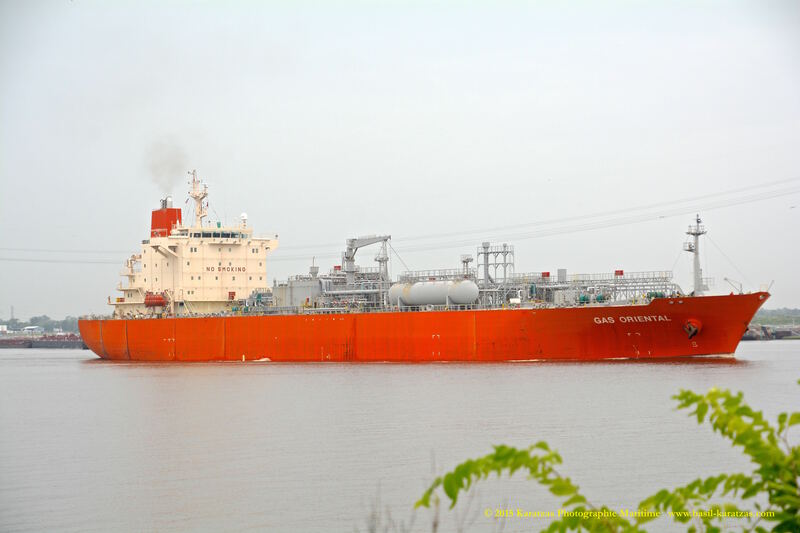 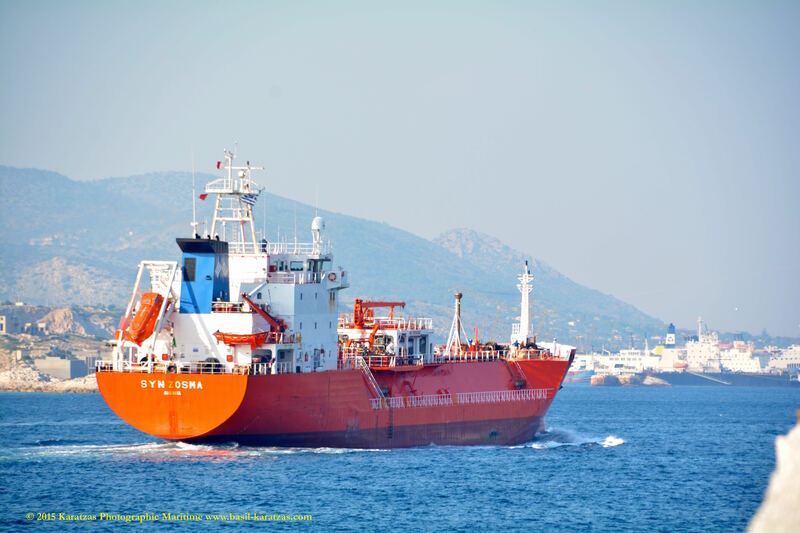 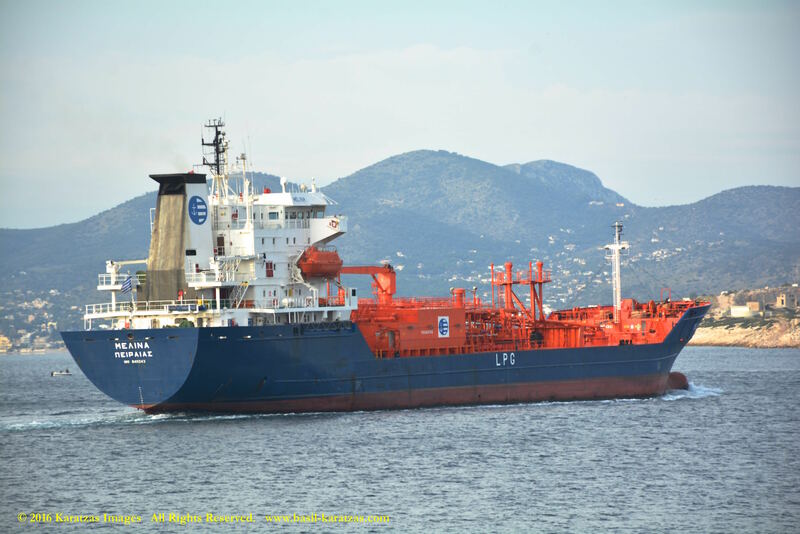 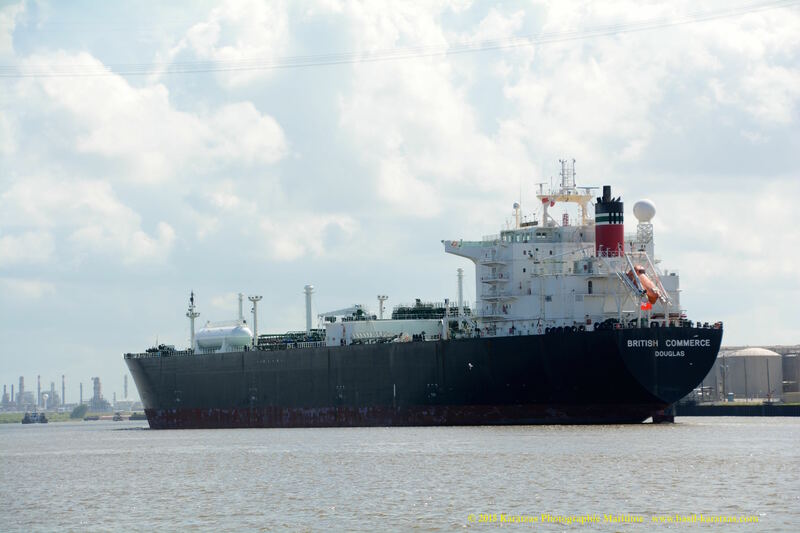 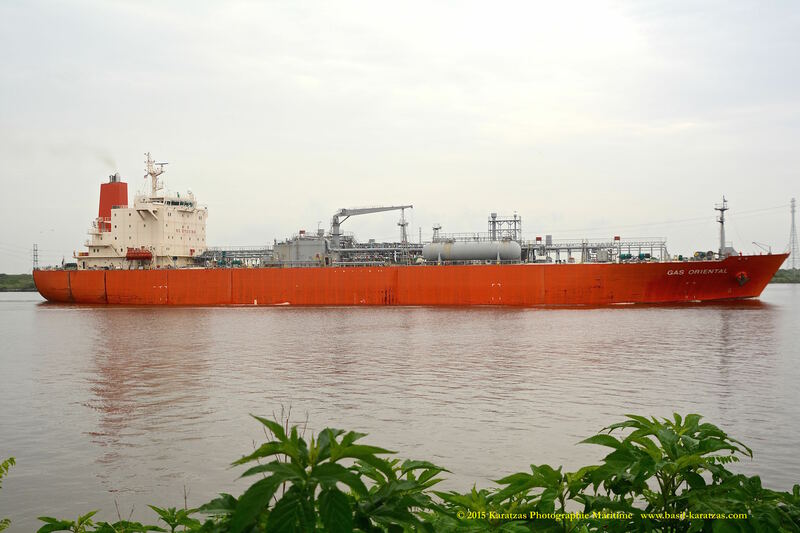 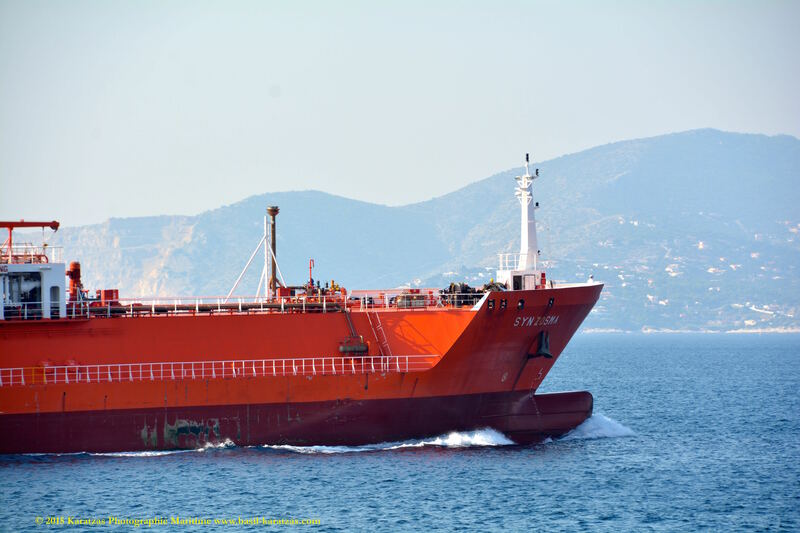 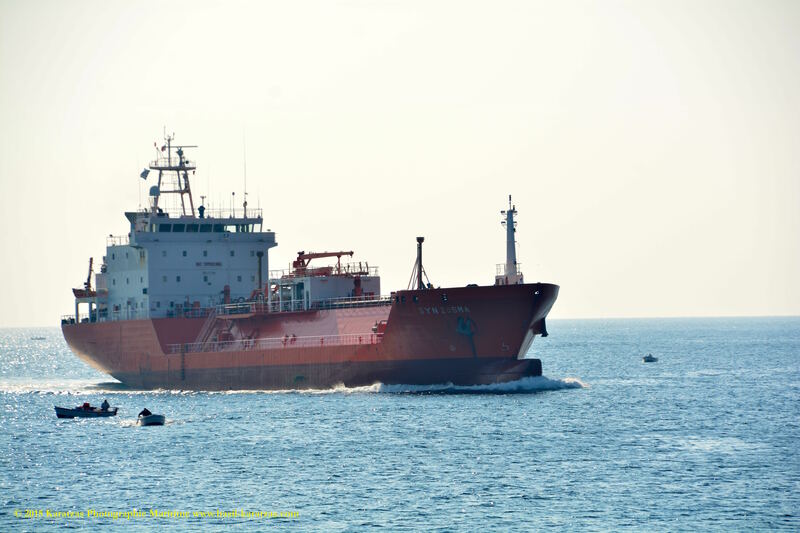 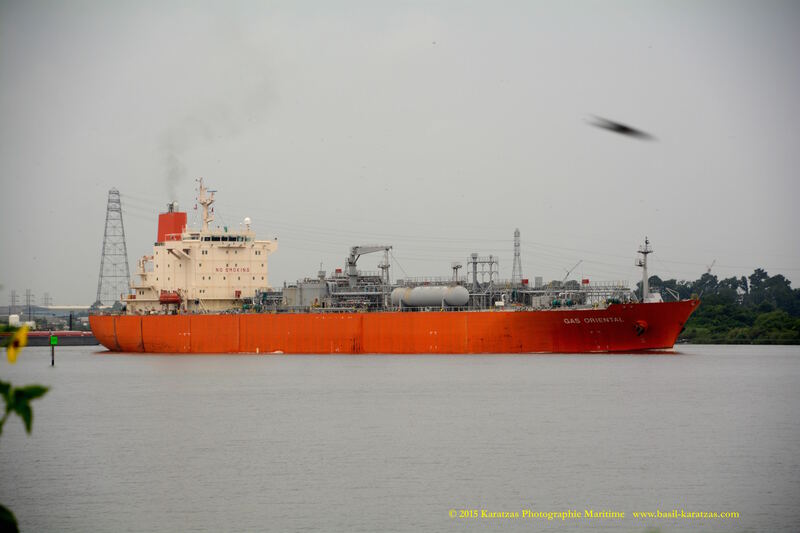 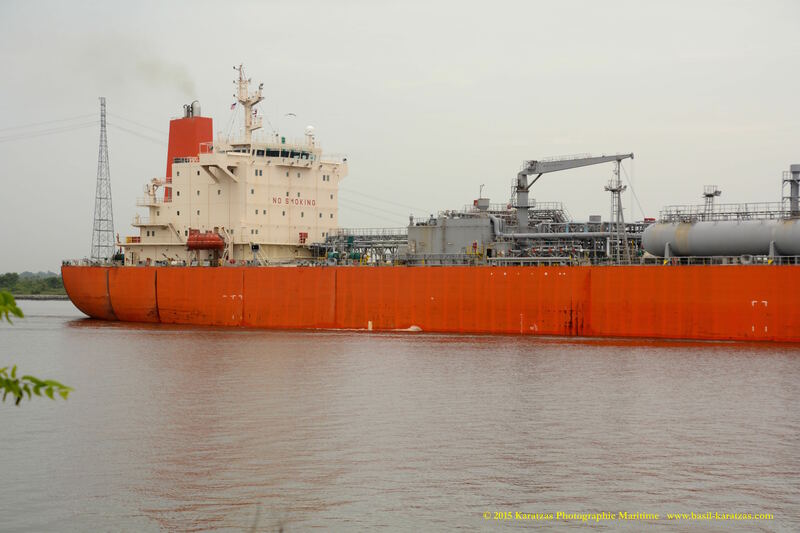 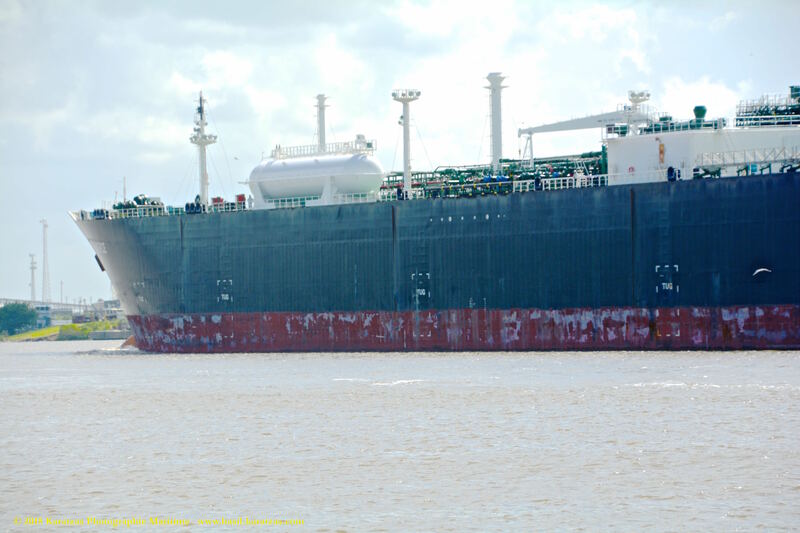 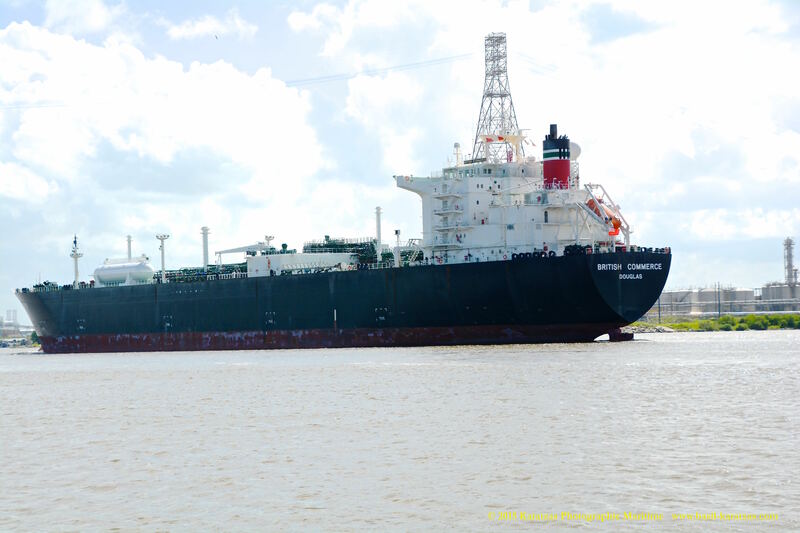 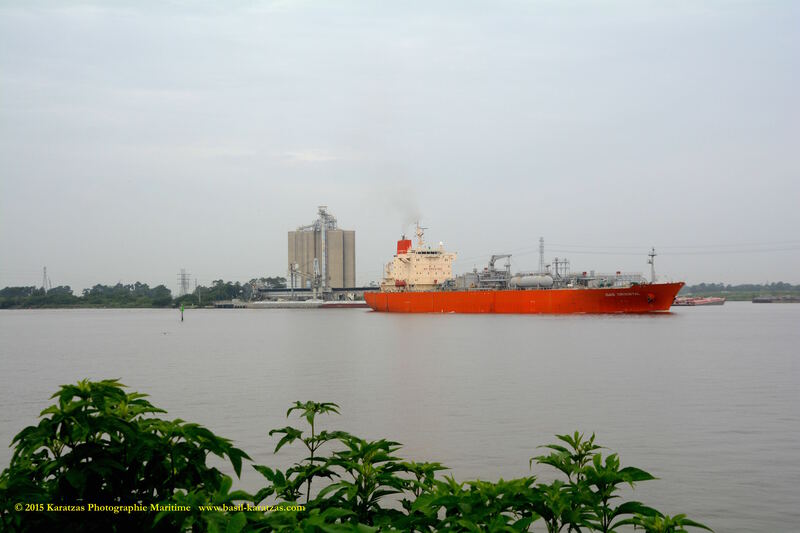 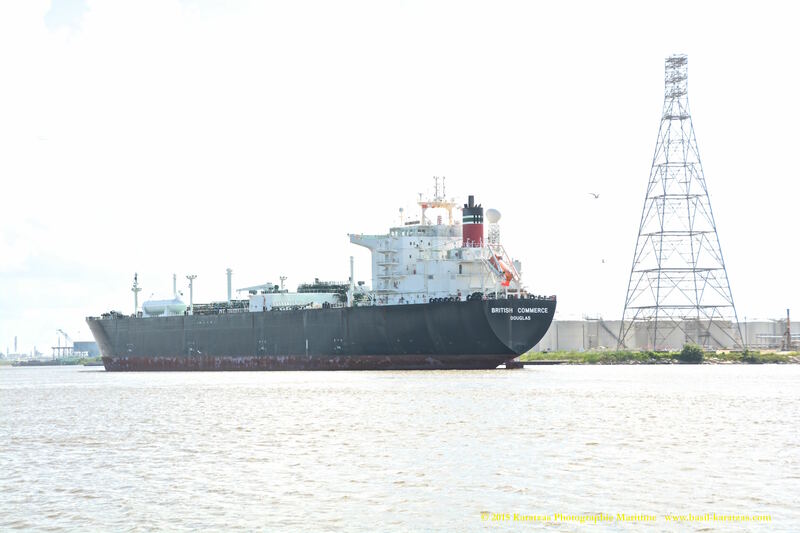 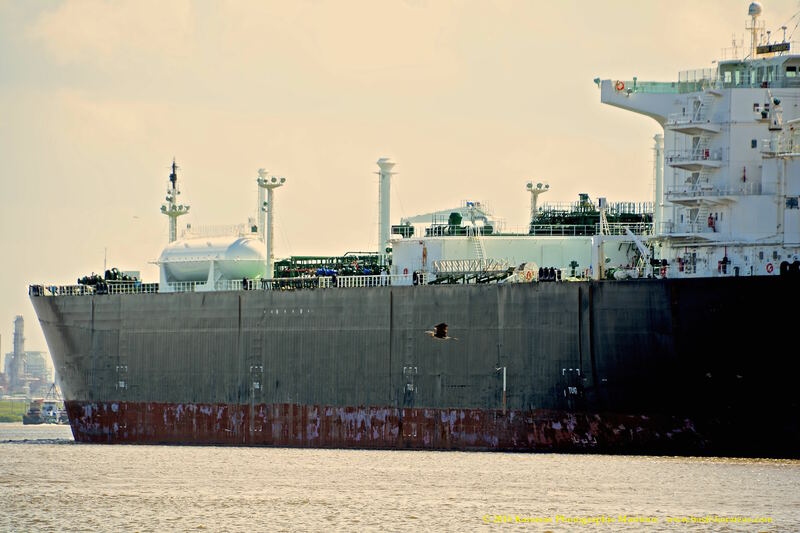 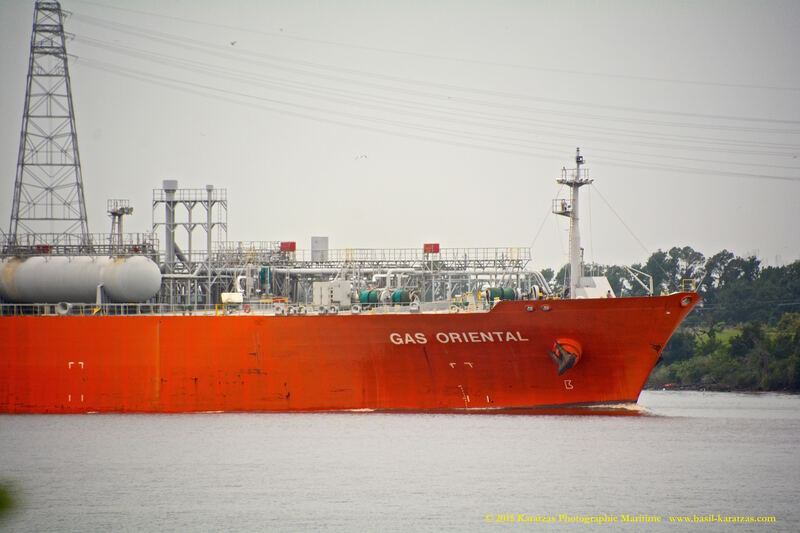 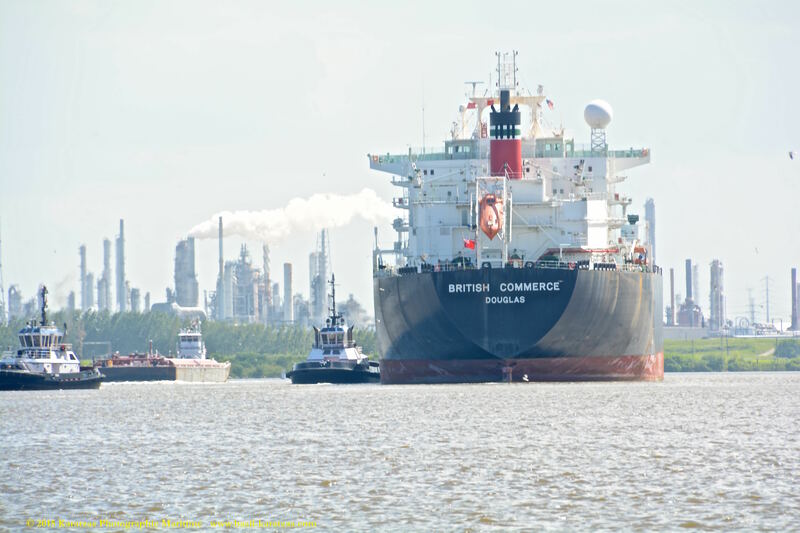 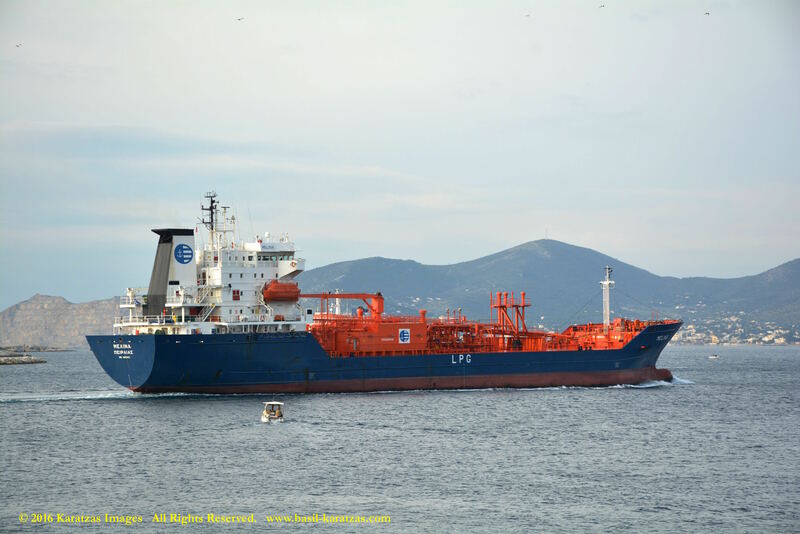 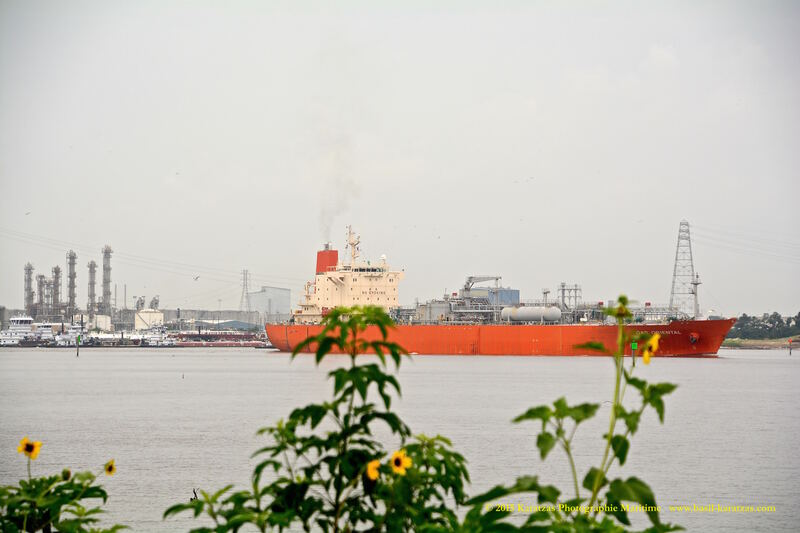 VESSEL DESCRIPTION: Cargo Capacity of 3,200 cu.m., Primary Cargo is VCM, Vessel can carry anhydrous ammonia, 4 Gas Connections, 2 Liquid Connections, Vapour Return Line, 2 Cylindrical horizontal Semi-refrigerated tank(s), Minimum tank temperature of -48 degrees Celsius, Maximum tank pressure of 7.50 kilogrammes force per square centimeter (absolute), 2 Deepwell Pump(s), 1 Booster Pump(s). 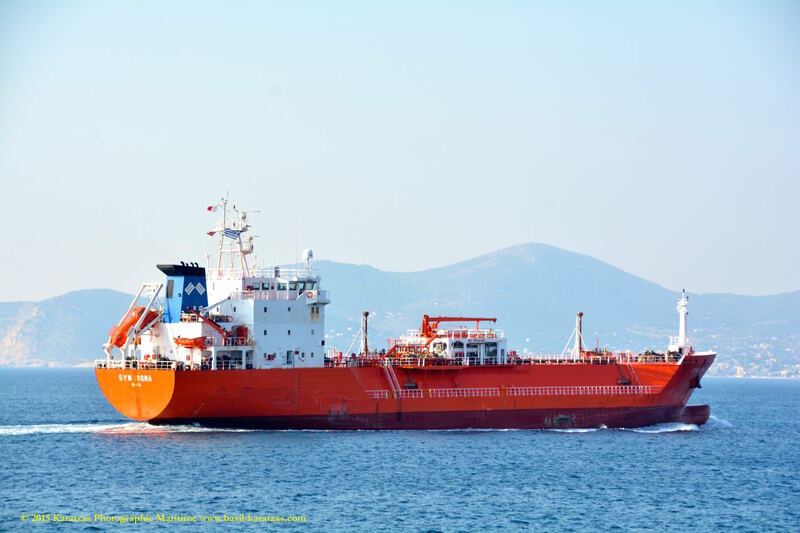 2 Reliquefaction units, 2 Compressors, Total rating of Reliquefaction units is 120,000 kilocalories per hour at minimum temperature, Maximum discharge capability of 540 cu.m./hr, Pressurised storage load/discharge, Vacuum draw of 50%, Distance from bow to centre manifold is 41.00 m., Distance of cargo manifold inboard from ship’s rail is 3 m., Height of cargo manifold above loaded waterline is 5 m.
MAIN ENGINE: 1 x Diesel – Wartsila 4-stroke 8R32LN – 4-stroke 8-cyl. 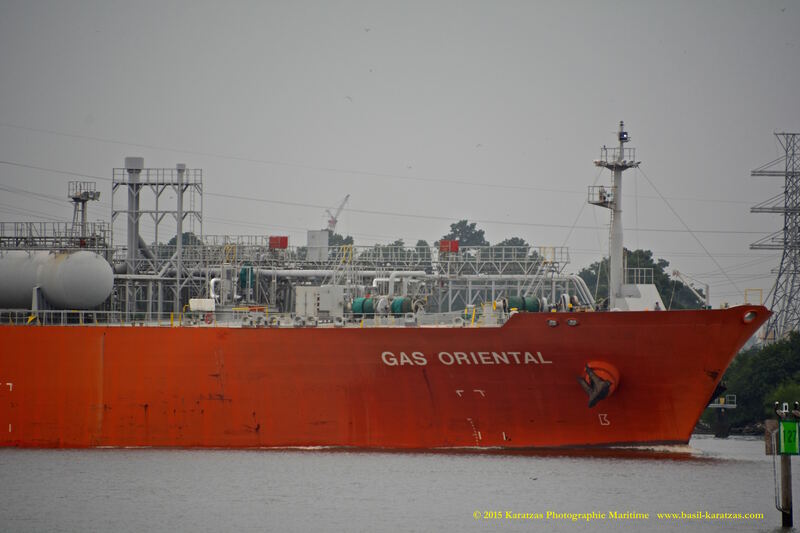 320mm x350mm bore/stroke 2,625mkW total at 750rpm. 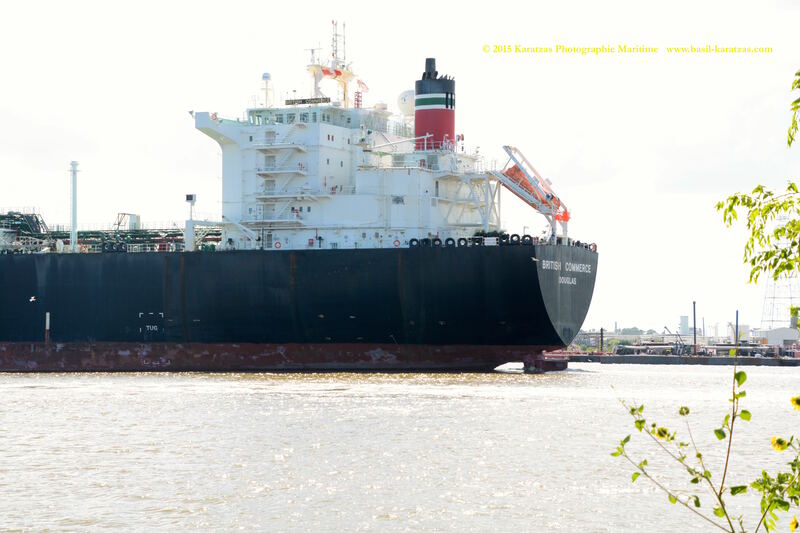 AUXILIARY: 3 x Aux. 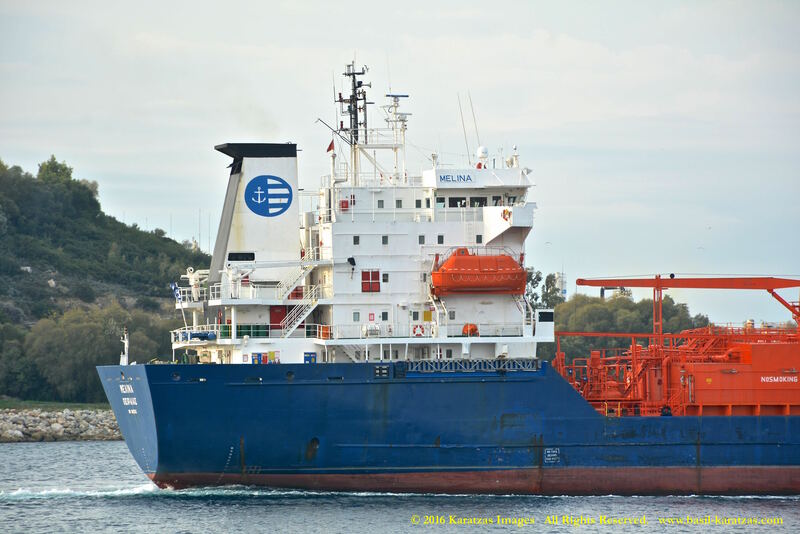 Diesel Gen – 4-stroke 1,037mkW total driving 3 x AC generator(s) at 936ekW total, (1,170kVA total) 440V at 60Hz, 1 x Emergency Gen – 4-stroke 346mkW total driving 1 x AC generator(s) at 312ekW total, (390kVA total) 440V at 60Hz. 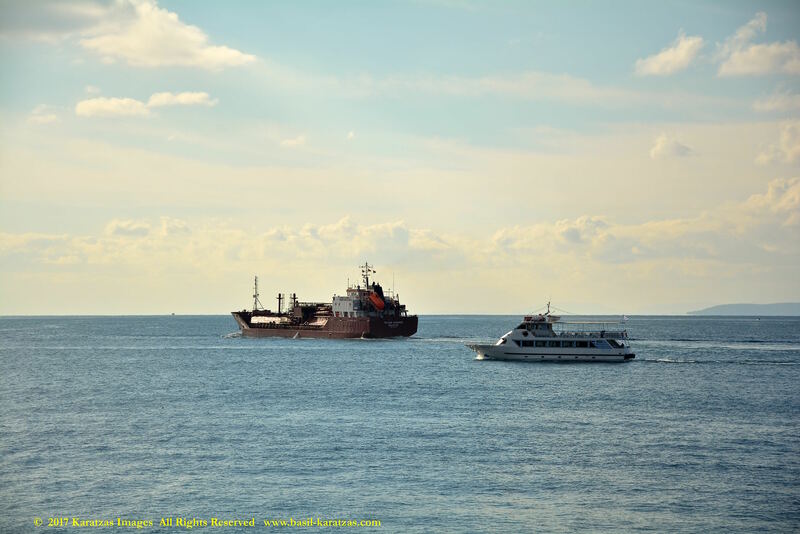 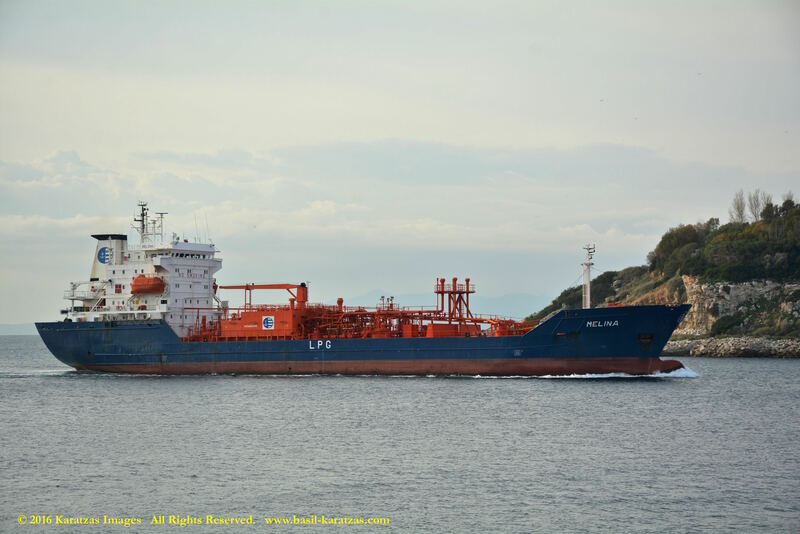 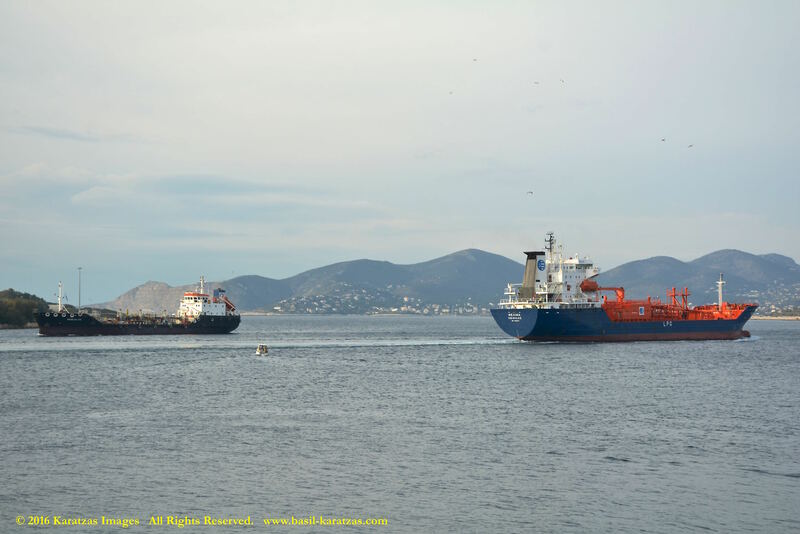 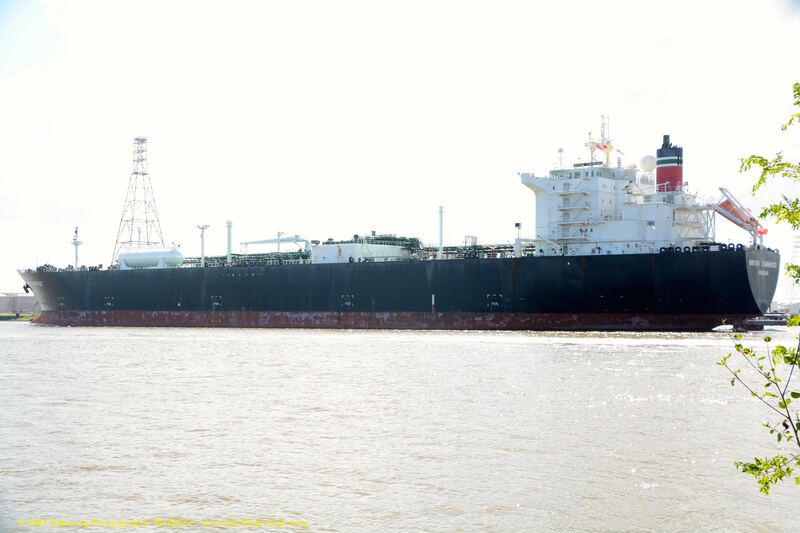 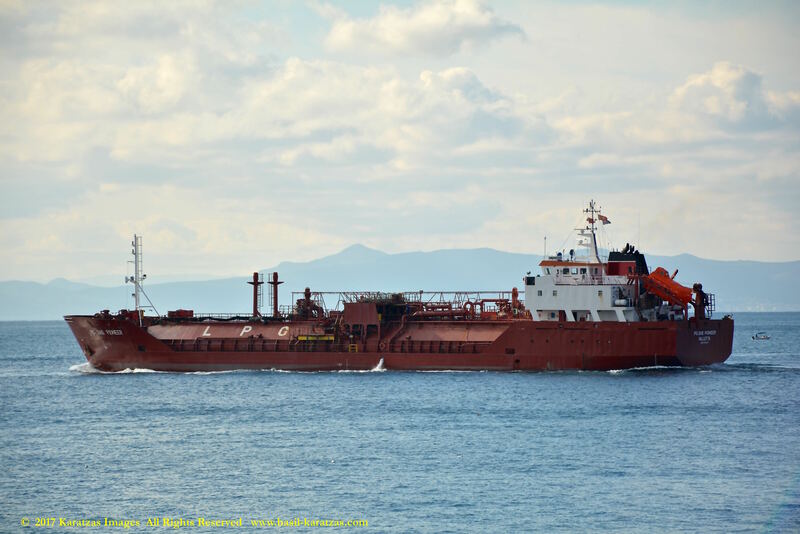 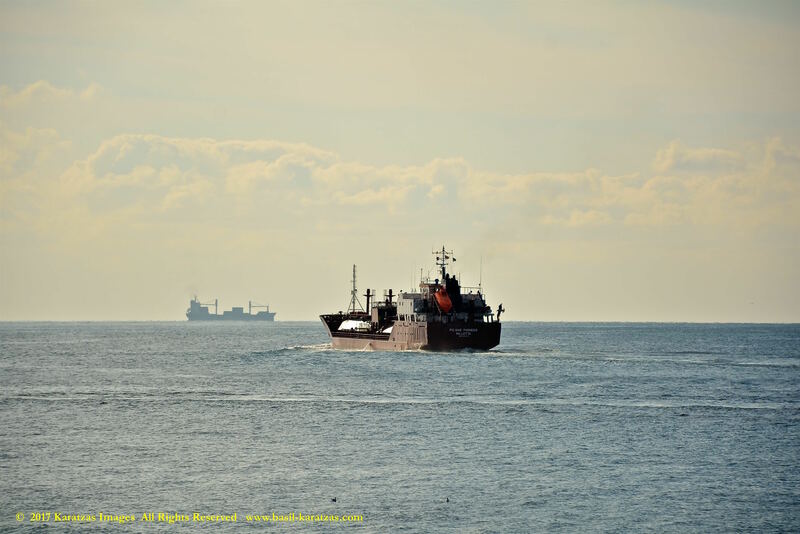 VESSEL IDENTIFICATION: Ex-name is Ledagas. 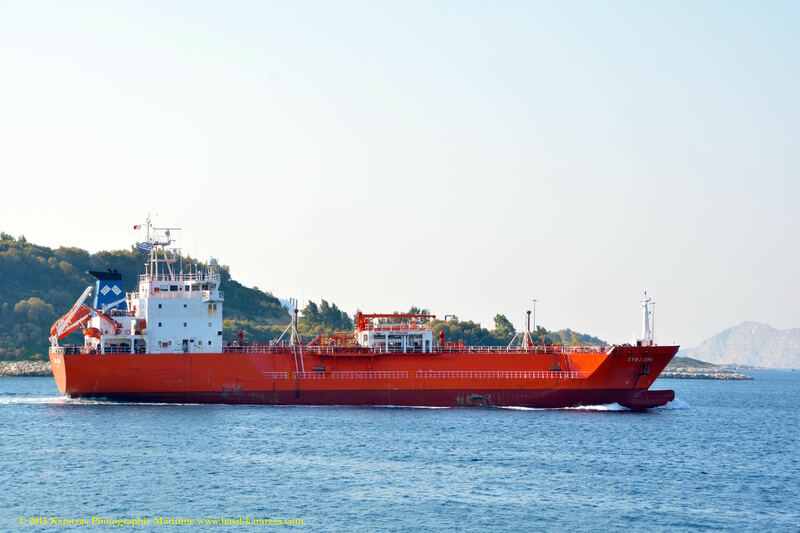 Call Sign SYFW, IMO Number 8411243. 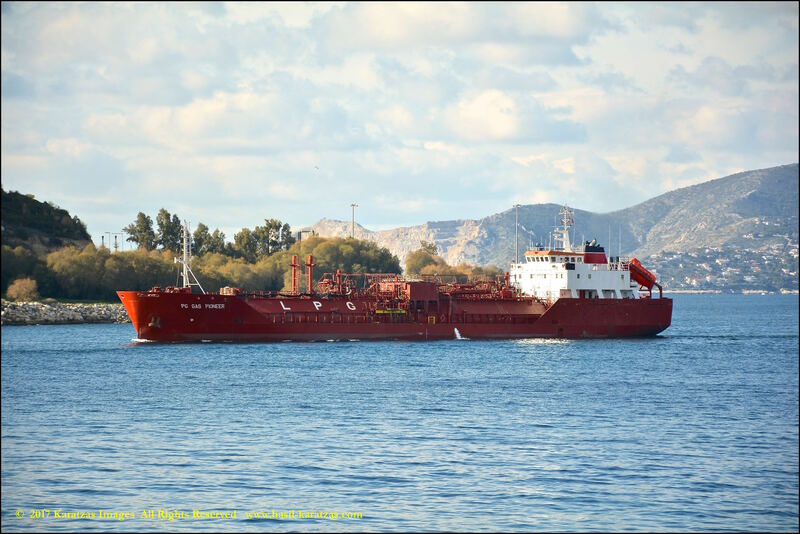 Built at Lindenau, Greece Flagged, GL Classed, Ice Strengthened E1 Class, Length Overall of 114.80 m., Length Between Perpendiculars of 104.30 m., Draught of 6.70 m., Beam of 17.20 m. 14.60 Tonnes per centimeter Immersion, Gross Tonnage of 5,285, MaK Engine, Horsepower of 4,080. 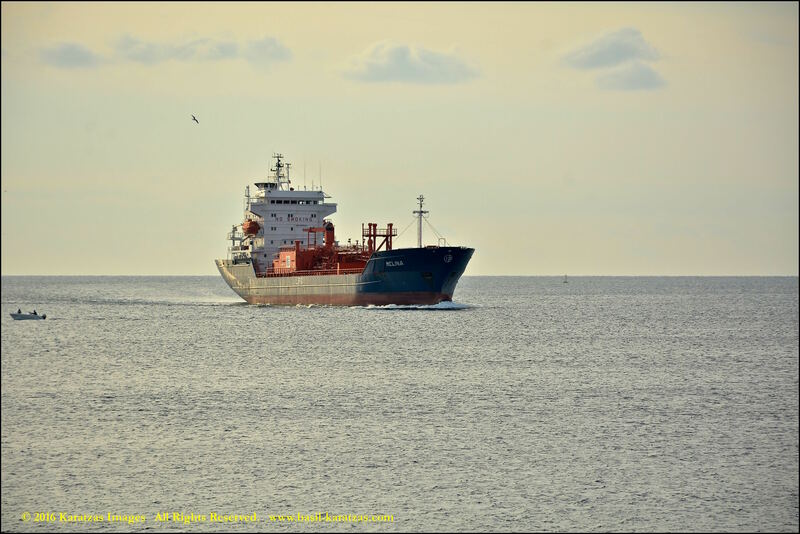 Speed of 13.50 kts. 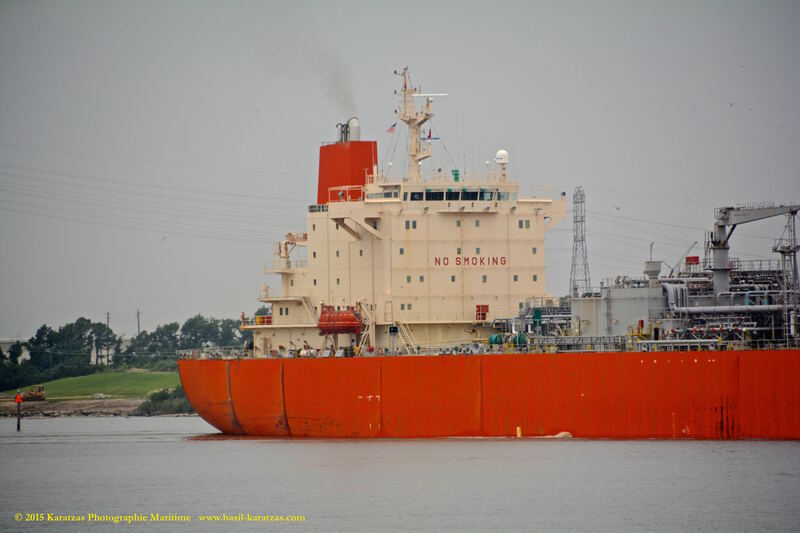 Moulded Depth of 9.50 m., Tonnage of 4,070 Panama Canal Net, 4,080 Suez Canal Net, 1,585 International Net, 3,360 Light Displacement and 5,580 Dwt (long), Cargo Capacity of 3,160 tonnes. 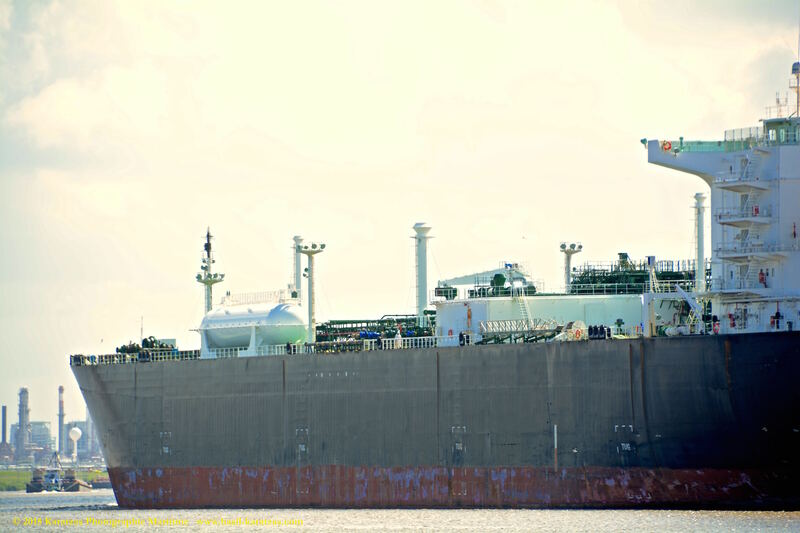 ENGINE DETAILS: Engine Description 4 S.A. 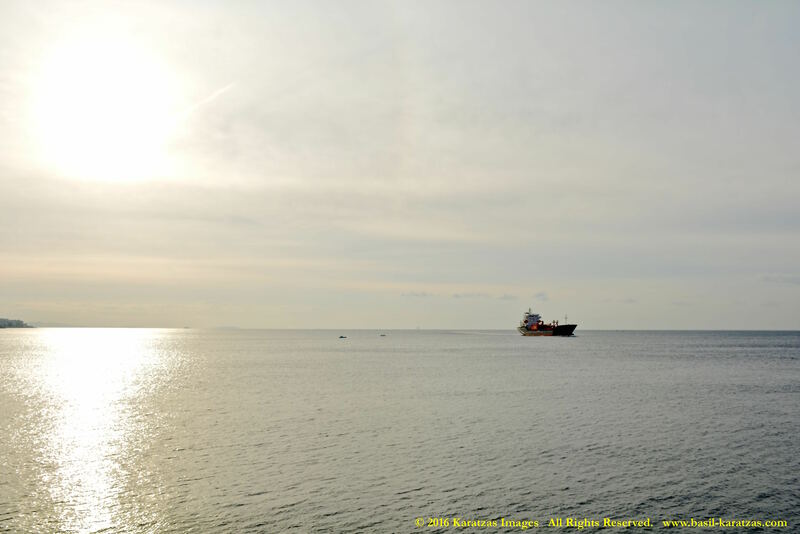 6-cyl., Engine Model 6M551AK, 1 Propellor. 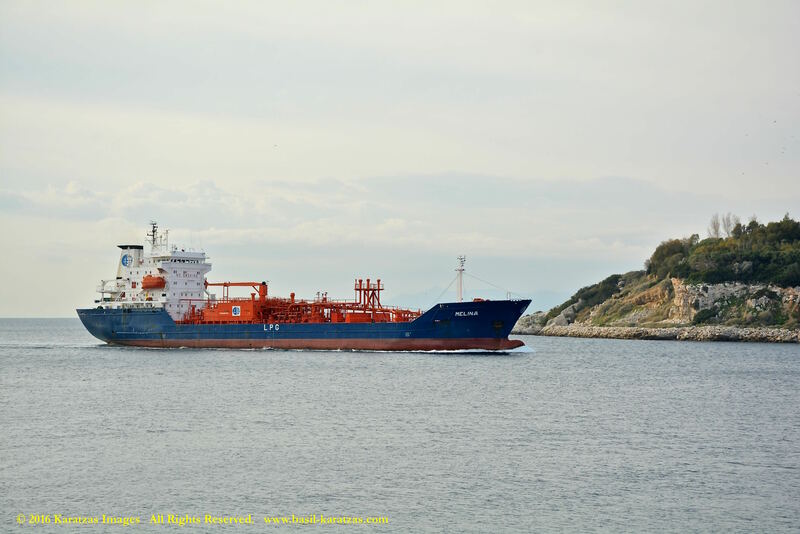 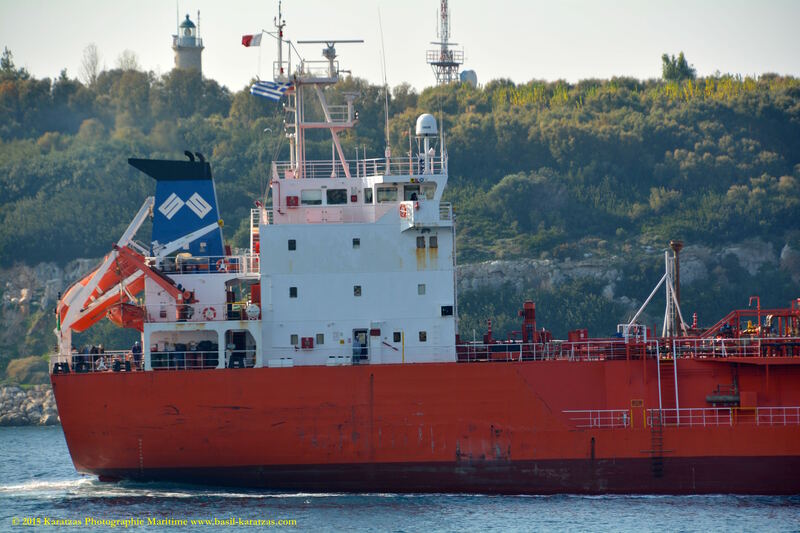 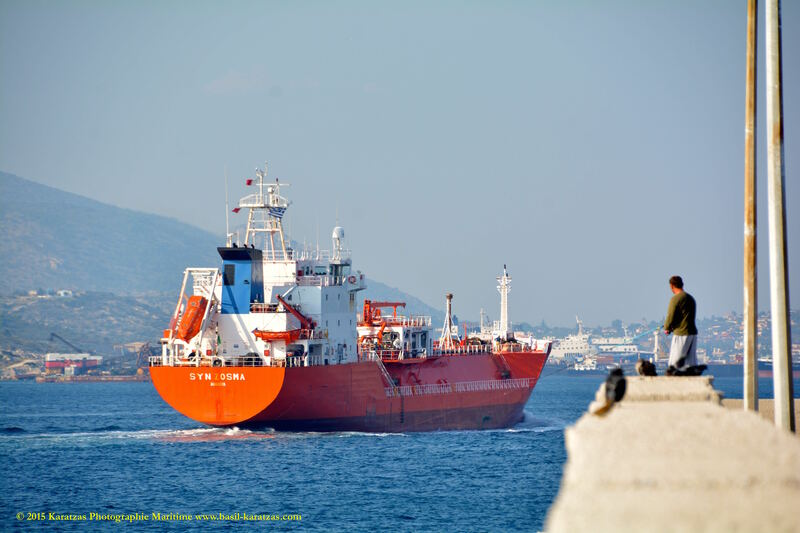 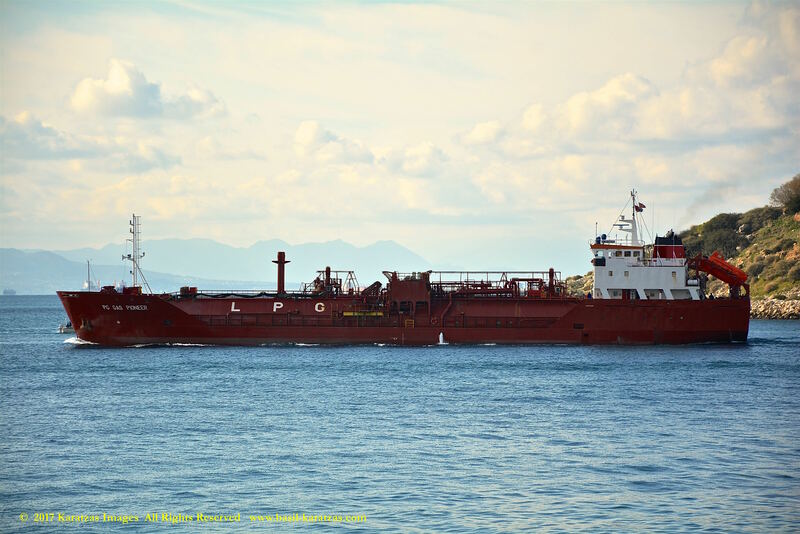 VESSEL’S OWNERS / MANAGERS: Hellenic Petroleum SA, Greece. 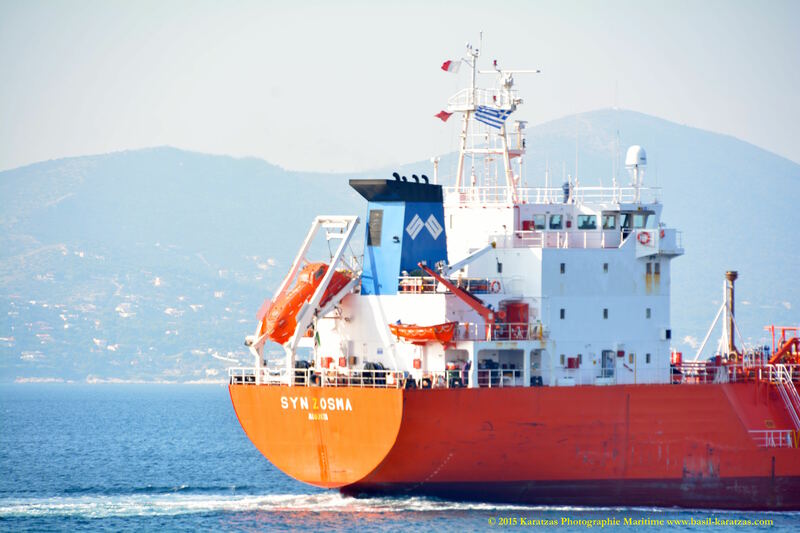 Technical Manager: Kinetic Shipping Co, Greece. 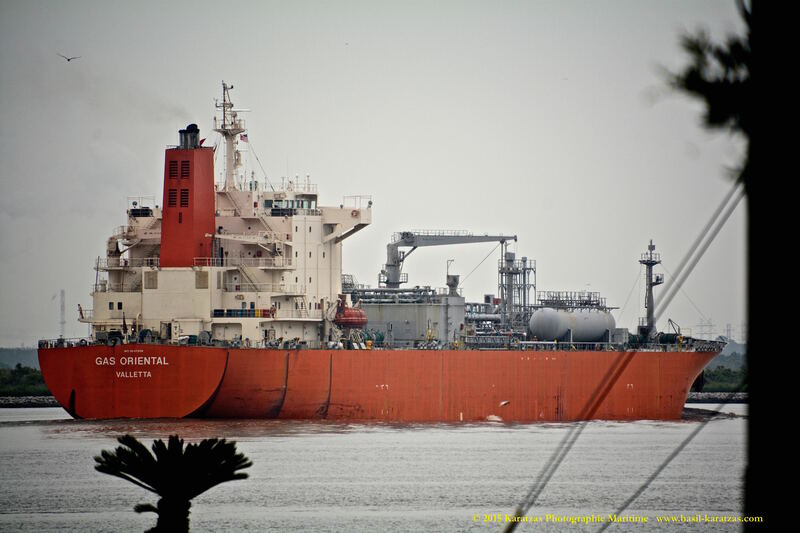 CARGO HANDLING DETAILS: Cargo Capacity of 5,250 cu.m., Primary Cargo is Butane, Vessel can carry anhydrous ammonia, 4 Cylindrical horizontal Semi-refrigerated tank(s), Minimum tank temperature of -48 degrees Celsius, Maximum tank pressure of 11.20 kilograms force per square centimeter (absolute), 4 Deepwell Pump(s), 1 Booster Pump(s). 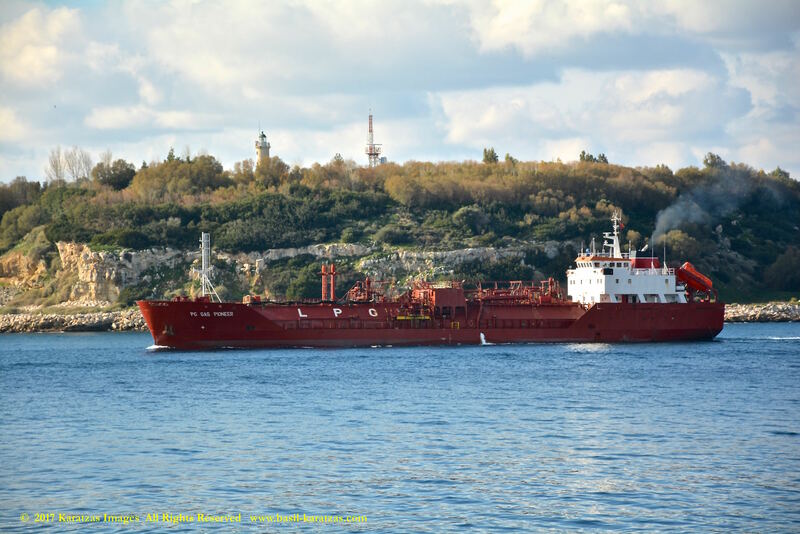 3 Compressors, Maximum discharge capability of 520 cu.m./hr.